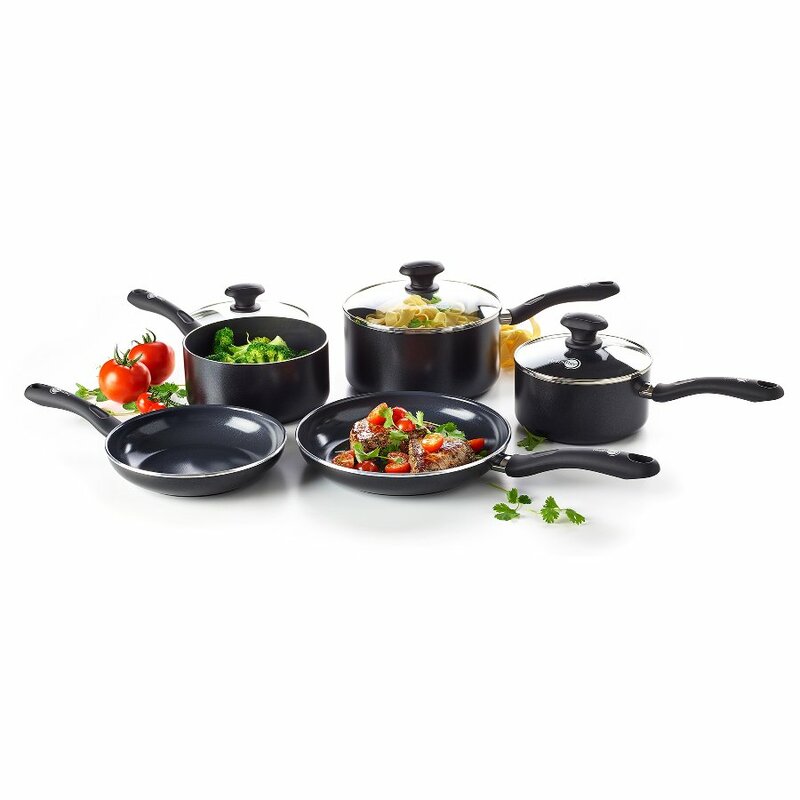 Have everything you need to create world-class food with the high quality saucepans and frypans of this 5 piece black velvet cookware set from GreenPan. Each one is designed with a thick base to make sure that heat is evenly distributed with no cold spots. The surfaces of each pan also comes with a Thermolon Infinity non-stick coating that has been further reinforced with diamonds; aiding in cooking and cleaning while keeping each pan highly durable. Magneto induction technology makes each pan suitable for gas, electric, ceramic and induction hobs, plus every handle in this set is Bakelite; keeping them comfortably cool while exposed to high heat. 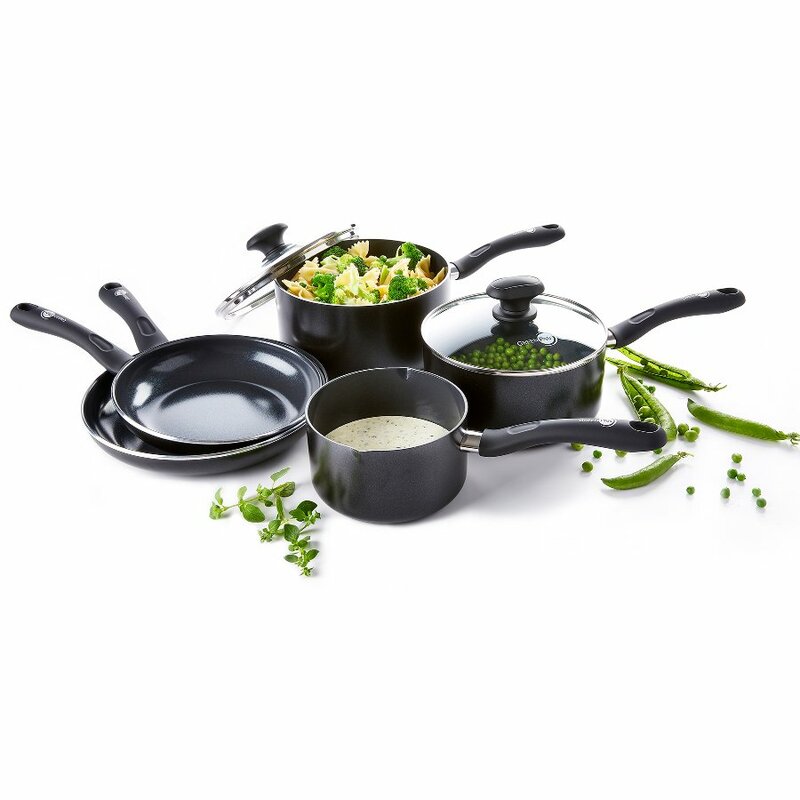 The GreenPan Velvet Black 5 Piece Cookware Set product ethics are indicated below. To learn more about these product ethics and to see related products, follow the links below. Q: Please could you let me know the dimensions of these pans.